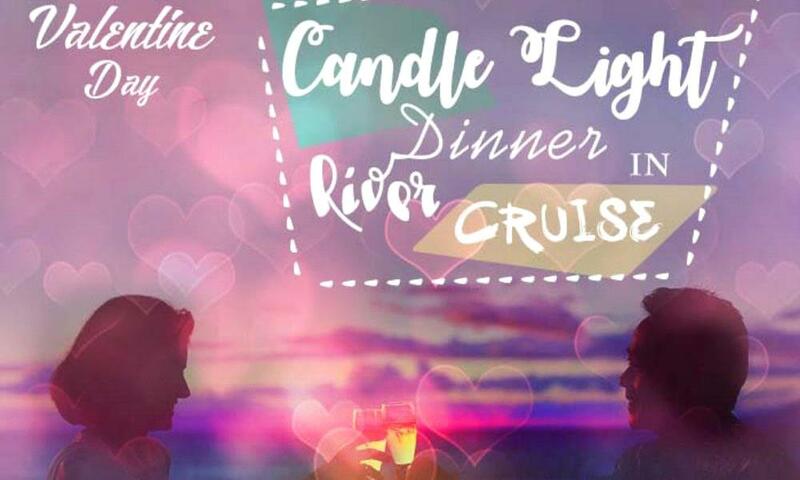 The Candle Light Dinner will be held in River Cruise on 14th February 2019 at Kolkata, West Bengal. The candlelight dinner has arranged in Kolkata at the river Ganges on any day. Sailing starts at 6.00 pm evening with soft music. Candlelight with soft music & mouthwatering food to surely mesmerize your loved one. 5 course meals will be served on the table (Veg, Non-Veg & Jain option available). The 65 ft x 16 ft boat will be exclusively for you with a butler. The cruise will start from Babughat and sail up to 2nd Hooghly Bridge, Dock, Howrah Bridge. Sailing time is two hours. Menu shall be mailed for your prior selection. Please call on 9874387134 to check the seat availability. Time schedule can be changed due to traffic condition, management will not responsible for that. Please reach the venue point before 10 minutes to avoid delay.